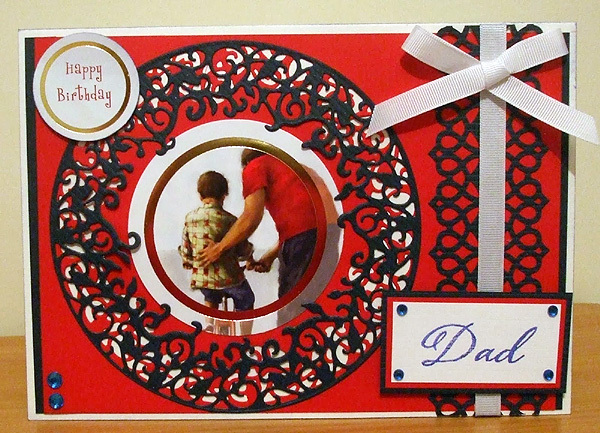 Just wanted to share a quick card I made a while back for a Special Dad. I`ve used the Tonic Christmas Wreath die set and the Tonic Delicate lattice border punch. The topper is from Hunky Dory. I have to admit I don`t use a huge amount of ready made toppers, but this was perfect for the occasion. I`ve added a bit of ribbon and a few gems and hey presto one card finished.